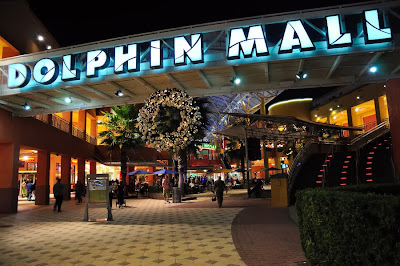 Dolphin Mall is one of the most fantastic malls in all of South Florida. Located in the heart of the city and close to many top Doral neighborhoods, it is the largest shopping mall in all of Miami-Dade and is known for the high-end label outlet stores. It is also known for its restaurants from quick and easy stops in the Atria Food Court to casual restaurants to fine dining establishments. There are tons of choices if Latin American is what you crave from Brazilian to Cuban to Mexican and most any other Latin American cuisine. Texas de Brazil. If you have eaten at an authentic churrascaria, you know what kind of restaurant this place is. Carvers come to each table and offer generous servings of beef, lamb, pork, chicken and Brazilian sausage. They also have a huge salad bar with more than just lettuce and fixings. Along with that, there are soups, appetizers and so much more. If you are hungry and a big eater, this is the place for you. Texas de Brazil has an extensive wine list with award winning wines that are the perfect accompaniment to the delicious meals. And, for dessert, there is a large selection of sinful yet delicious desserts as well steaming coffee drinks and, yes, hand-rolled cigars -- it’s a churrascaria after all! Mojito’s. This is Cuban at its finest from the original drink of Cuba (mojito) to authentic Cuban dishes like Palomilla Steak and Shrimp Creole and a, true traditional Cuban sandwich. The desserts are spectacular! The best part of Mojito’s is that after dinner, guests frequently stay for an evening of salsa and cha-cha dancing. This is a fun, fun place. Taco Vida. Along with the fancier restaurants at Dolphin Mall, there are great places that are very affordable and delicious. One of those is Taco Vida. It is a wonderful Mexican café with everything from basic tacos to fajitas to unbelievable burritos and elegant gourmet salads. 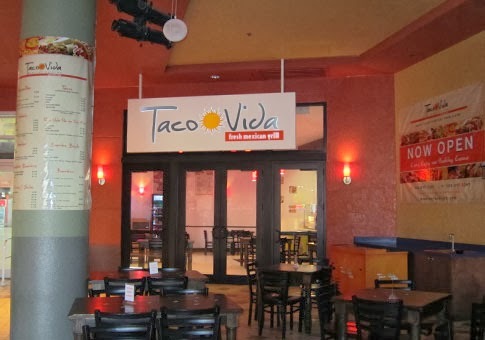 This is the perfect place when you are hungry for Mexican food and do not have a lot of time. There are several Asian style restaurants at Dolphin Mall. These restaurants offer quick bites from locations in the Food Court as well as the ambiance of fine dining at one of the elegant restaurants. Suki Hana. Suki Hana is an easy place to go for sushi, tempura and other Japanese favorites. It is located in the Food Court and serves fresh food that is prepared in front of guests. Reviewers of Suki Hana say that this is the best place in the Food Court for vegetarian meals. KOBE Japanese Steak and Seafood. KOBE is one of our favorites for a business lunch or nice dinner. It accommodates the tastes of sea and land lovers with juicy cuts of beef and fresh seafood. Along with freshly prepared meals, guests enjoy the best wines from their award winning wine list. P.F. Chang’s. We would be remiss if we did not mention P.F. Chang’s. 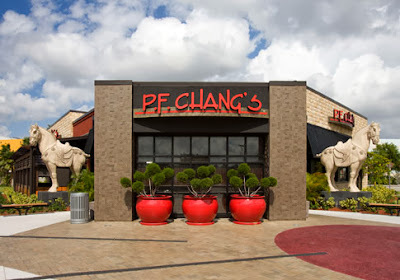 They have the best lettuce wraps, Flaming Red Wontons, and so many other favorites. This is the perfect place to wind down after a day of shopping. Enjoy a glass of wine with one of your favorites on the menu. Where would any mall be without good old traditional American cuisine? It is the tops of all food and we love it. From food court to dine-in restaurants, there are tons of our favorite restaurants scattered throughout the shopping center. Cool de Sac. Every parent must learn about Cool de Sac. This is one of the best places with which to bribe your children to behave while shopping. 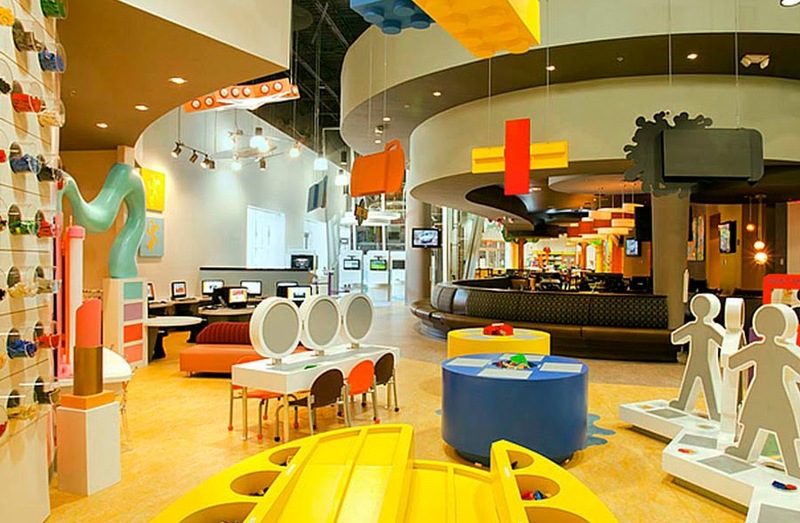 It gives them something to which they can look forward and allows Mom and Dad time to chill out while the kids play in one of the eight interactive stations set up throughout the place. The food is prepared with fresh, organic and natural ingredients so there are no worries about the quality and can feel good about what everyone in the family is eating. Buffalo Wild Wings. Who doesn’t love a plate of wings!? Buffalo Wild Wings always has a crowd because the wings are so good. Wives can spend an entire day shopping while their husbands hang out watching football and eating wings. Cheesecake Factory. Yummo! Enjoy the biggest salads, pizzas, burger and, of course, decadent cheesecake here. Located at most high-end shopping centers across the country, Cheesecake Factory is a favorite for most everyone. The best part about this place is that you can just run in and order a big slice of cheesecake to go and take it home to eat with your feet propped up. 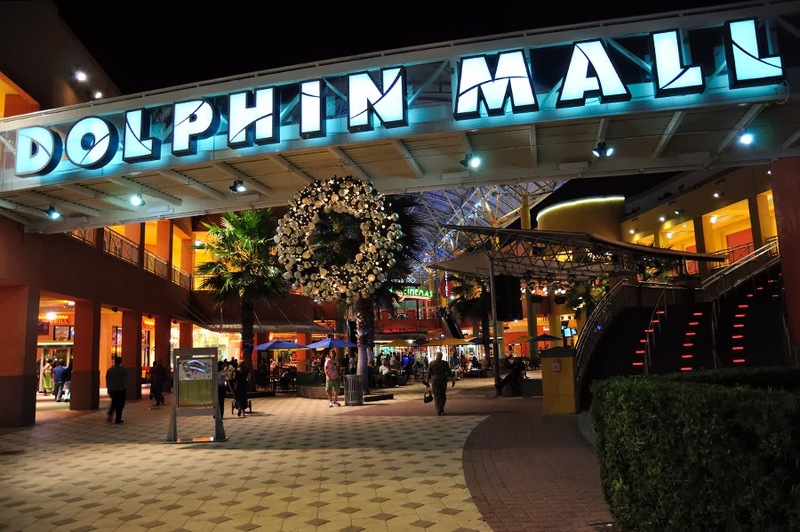 Many of the restaurants at Dolphin Mall are Doral’s favorites. There are tons of options to meet every taste bud. And being so close to everything in and around Doral, it is the perfect place to simply stop in for a meal or build into a day of shopping.